You Need Plants! – Atria, Inc.
Our human nature wants to connect with the outdoors. Research indicates that interior landscaping is not only desirable but a “must do green initiative” to keep clients, tenants and customers happy and healthy. If you’re not convinced of the power of green, please examine this small sample of the overwhelming data on the subject. Affect Productivity and Worker Satisfaction – When a company provides and maintains plants for their employees, a message of good will is sent. Workers feel management cares because plants create a tended space giving people the sense of caring and well-being. In fact, in one study, workers have demonstrated 12% more productivity with plants present. 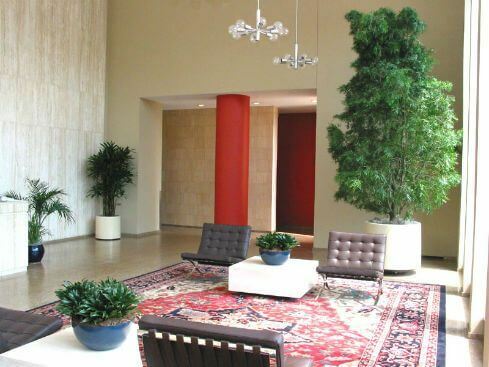 Reduce Absenteeism – A few selected quality specimen plants can help moderate the noise level and reduce stress, keeping employees happier and at work. 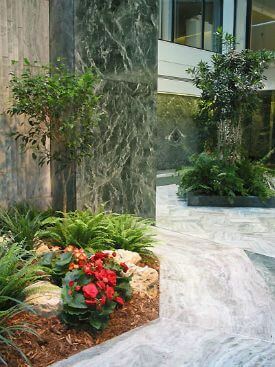 Make Buildings Look More Welcoming – Subtle settings created by plants alleviate the harshness of the building environment. They create a warm and inviting refuge. Improve the Indoor Environment – Plants take on many indoor environmental health problems by reducing levels of carbon dioxide, increasing relative humidity, reducing airborne dust levels and reducing off gassing levels of certain common interior pollutants such as formaldehyde, benzene and nitrogen dioxide. 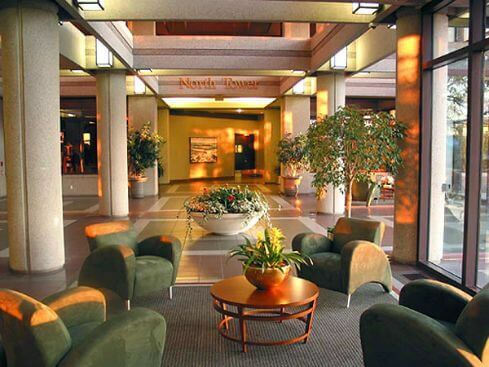 Increase Tenant Occupancy and Retention – By maintaining healthy plants in attractively designed containers and displays, the character and appearance of the building improves. People want to stay, their perception is positive. Make a Design Statement – Interior landscaping is emerging as a “fashion oriented” business. It can be the finishing touches to the overall design or stand as a focal point to catch the eye. Increase Retail Spending – Extend your outside environment inside for the retail customer. Provide a more interesting, cheerful, less stressful experience for your shopper, diner or overnight guest. Direct Pedestrian Traffic – Plants can gently guide crowds to special attractions, direct optimal traffic flow or be the specific landmark for check-in desks, escalators and waiting areas. Soften Less Attractive Building Features – Utilizing the versatility in size and shape, plants hide the less attractive features of the structural environment with elegant, functional solutions to service areas, kitchen entries, connecting walkways etc. Reflect the Holidays and Changing Seasons – It’s hard to beat the visual beauty and grace of plants. They express our cultural beliefs and help celebrate our seasonal holidays. Do the right thing and include green plants in their green designs! All photos © Copyright 2013 Atria, Inc.